In the EMU Royals dugout from 2014-16, Aaron Hooven was a talker, remembers baseball coach Ben Spotts. That amiable nature has contributed to Hooven’s current success in the business world – he now works in financial sales with a growing company in the Atlanta, Georgia area. As a recreation leadership and sports promotion major, Hooven was always interested in business. “I like to talk to people, and business is always about how you speak and how you handle yourself in conversation.” So he looked for work that involved people and would play to his socially oriented strengths. And he found that his classes at EMU had prepared him in important ways. The ability to speak and articulate well in high-pressure situations and under scrutiny is under-estimated, Hooven said. 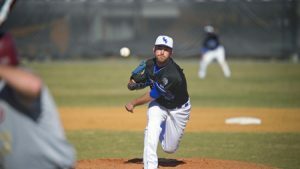 His baseball experiences – he was primarily a reliever on the mound – have contributed to some comfort level in situations where others might be distracted or uneasy. Working in a commission-based model appeals to him, he said, in part because it takes the same mettle he learned in athletics. High-achieving sales associates in the company were at one point routinely asked to provide a motivational speech for their colleagues. When he had earned the honor, Hooven shared something he’d learned while playing under Spotts at EMU. Hooven’s sports experience also helped him find a place in the workforce. 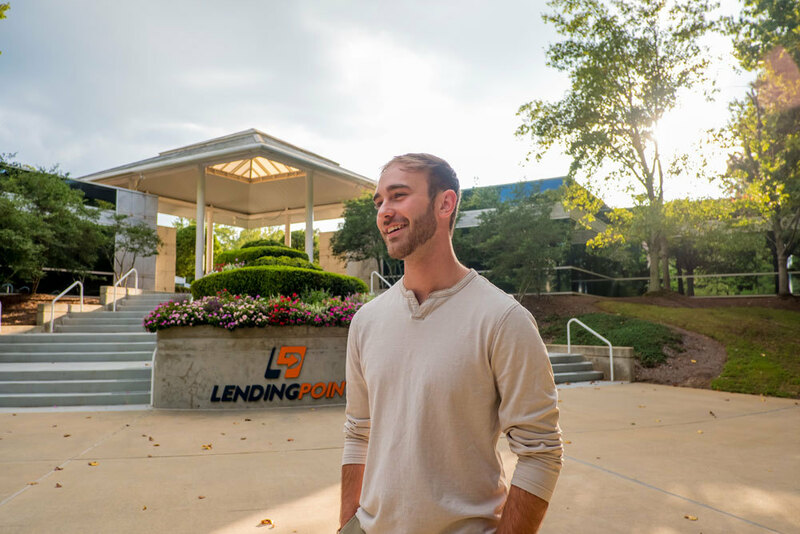 After graduation in May 2016, Spotts connected him with a summer internship at LakePoint Sports, a large mixed-use development in suburban Atlanta that caters to youth sports tournaments and related travel experiences. That internship was where he met his future wife (they married in September 2018) and where he was offered a full-time position as the marketing director. After a year there, Hooven attended a networking event where an acquaintance suggested he look into financial sales. “I see myself doing this for a while,” he said. “I love Atlanta, it’s a booming place, and there’s a lot of opportunity here.